Currently, we charge $35 per night, per dog (2 max). Looking into integrating with FlipKey and this arrangement is not accepted on their platform. How do you enter a nightly pet fee with FlipKey? I'm open to suggestions. The best way to set up a Pet Fee in MyVR to sync with FlipKey is on a Flat Rate Per Stay Basis. 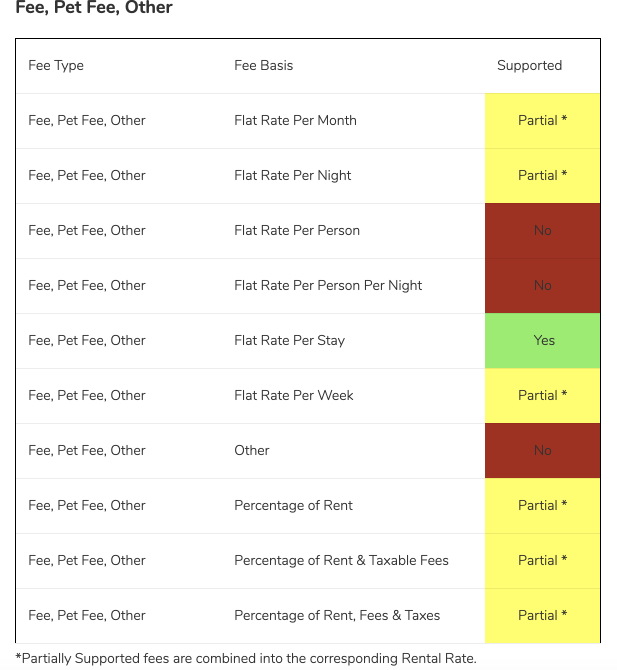 This table from our FlipKey Rates article is useful to visualize how the channel accepts special fees like a pet fee or an "other" fee. If you include a Pet Fee on a Flat Rate Per Night basis it will be combined into the Rental Rate total rather than broken out as a line item.